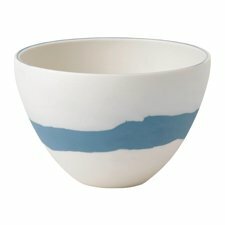 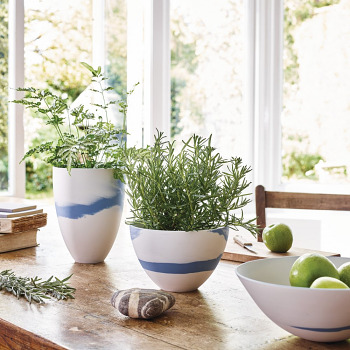 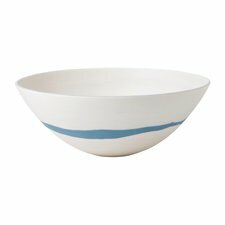 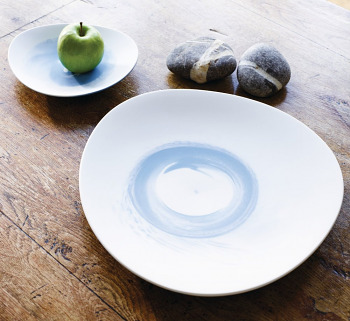 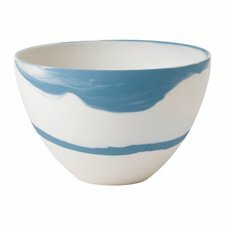 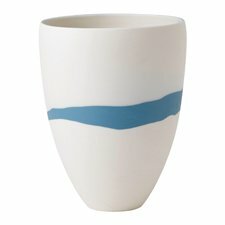 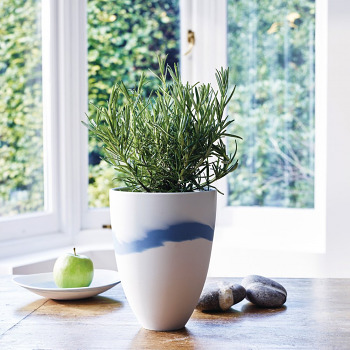 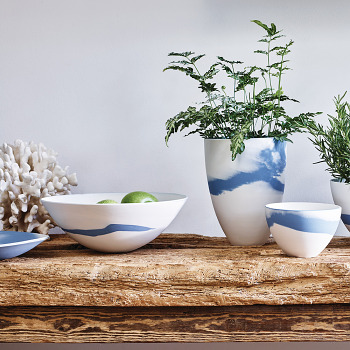 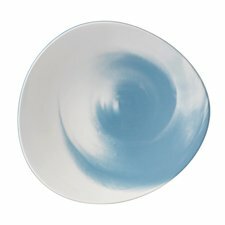 The Blue Pebble Collection is a re-imagination of the iconic Jasperware, produced in signature blue and white Jasper material, fused together revealing a truly unique piece of modern ware made in the Wedgwood Barlaston factory in England. 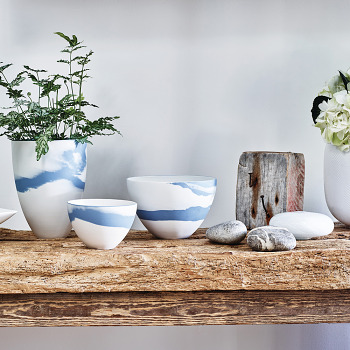 Inspired by organic and natural textures, combined with organic shapes and the natural patterns created in water washed pebbles, this collection creates a re-imagined iconic style that’s perfect for modern homes. 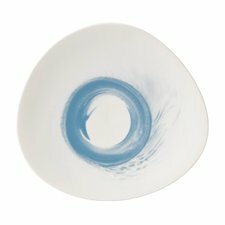 Each piece will be unique and impressed with its own serial code that co-ordinates with a matching authenticity certificate to support the level of individuality that each piece deserves.